7art Sagittarius Zodiac Clock screensaver: magical clock talisman for Sagittarius zodiac sign. 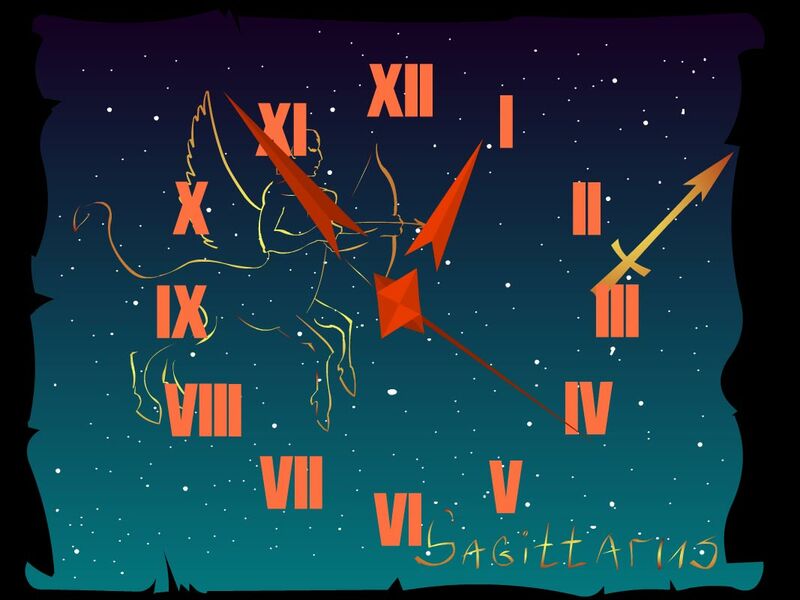 Sagittarius likes to show himself, he thirsts for freedom and catches each moment of it. This person remains young for a long time thank to his interest to life and people. His optimism, sense of humor and moral and physical health ensure Sagittarius sympathy of other people. This man is generous when no one attempts on his holy freedom. Sagittarius likes to surround himself with friends and helps them with pleasure. The optimism of this person helps him to overcome difficulties faster than others do. Sagittarius possesses considerable intellectual and strong energetic potential, which needs to be used somewhere.